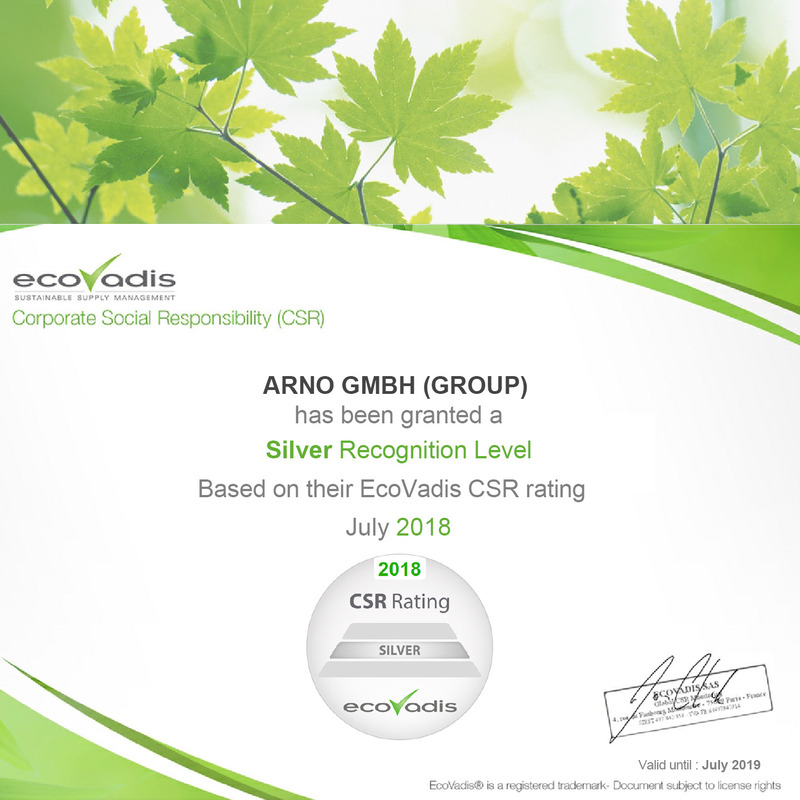 We are silver certified by the rating platform EcoVadis for our exemplary commitment to sustainable, economical behaviour and international standards of Corporate Social Responsibility. In order to establish our rating, EcoVadis examined our compliance with environmental, sociological and ethical issues as well as our investment in sustainably sourced materials. ARNO Group are very proud to achieve such a high rating.